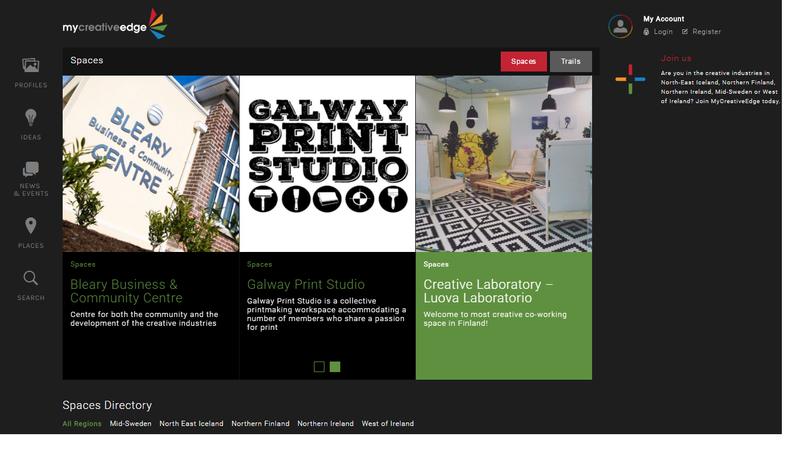 One of the new features of the redeveloped MyCreativeEdge.eu website is our new Spaces section. Here you’ll find Profiles of shared creative co-working spaces across Europe’s Northern Edge. 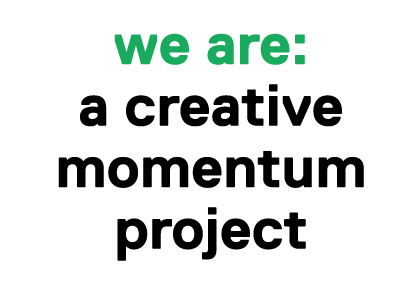 In the same way as those working in the creative sector can create a free online profile to showcase their work, owners and managers of shared creative working spaces can now do the same. It’s only at the early stages and we need your help. If you own or manage a shared working space dedicated to the creative sector – Arts, Crafts, Design or Media & Technology – or even a space with a mix of tenants across sectors, including some who work in these areas, create a Profile to showcase your space and connect with potential new tenants. Why should you create a Space Profile? Advertise upcoming events through the Events section of the site and post blog posts to Deep in Thought. Your space will be exposed to potential creative tenants across your own region as well as the five partner regions of Mid-Sweden, Northern Finland, North East Iceland, South East of Northern Ireland and West of Ireland. You will also have an opportunity to connect with similar creative co-working spaces across the regions and build international links. Through MyCreativEdge.eu we will be organizing future learning and networking opportunities to address the development needs of shared creative spaces. Register now and make sure to select the option “I want to create a profile for a creative workspace. As soon as you register, login to create your Space Profile.